So last week, I was telling you all about the colours that are really inspiring me for Spring and Summer. Lots of pink, metallic, mustard/yellow etc. A very covetable range indeed. 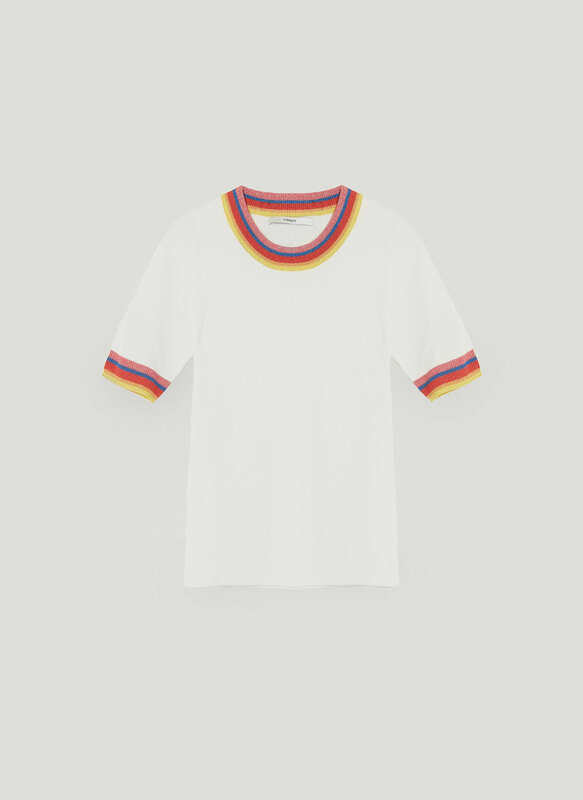 This week I would like to take you on a time journey as I am totally obsessing about the whole 70s counterculture vibes of the new collections. We might be living the most insane, retrograde political times in Western democracies. But there is definitely a Woodstock, swinging London vibe in the air with all those bright blossomy prints and 70's bootcut jeans. And I am loving it! Almost tempted to go barefoot to the flea market or to try feathered Farrah Fawcett inspired hair, and listen to the Bee Gees or the Hair musical all day. 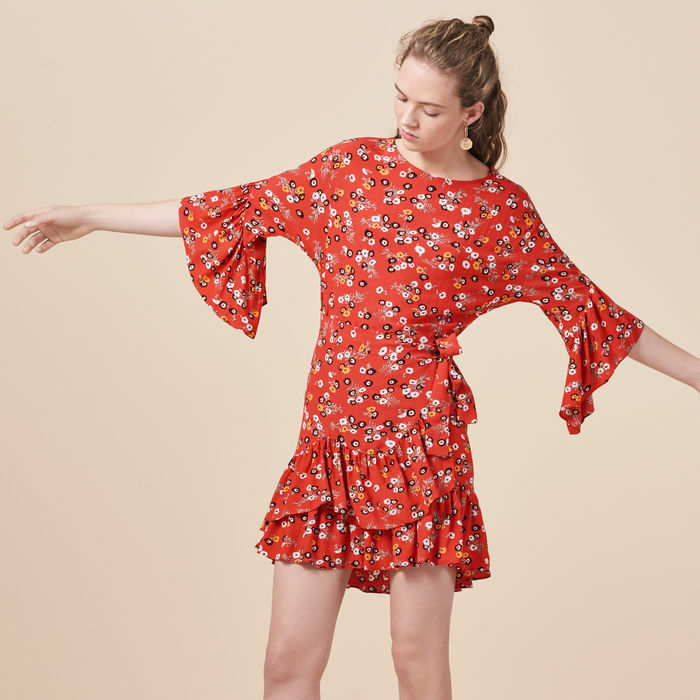 I am usually rather averse to flower prints and flowy dresses or elephant bottom pants, but the post modern hippie genre is definitely calling and it's irresistible. It is undeniable flowers have invaded the high street and designer racks. And what's not to like about so much freshness and feel good styles...? 2. Chloé Hudson Mini Suede Shoulder Bag, £1,190 - Am a massive fan of Chloé handbags and this one is spot on when it comes to 70s vibes with its tan suede colour and tassel detail. Only wish I could actually afford it! 4. Rupert Sanderson Elaine Satin Trimmed Lurex Mules, £495 - Another unrealistic buy but it's allowed to dream, right? 6. Asos Vacay Sequin Straw Hat, £18 - This hat reminds me so much of Scorsese's Taxi driver and Jodie Foster's incredible look. And Capeline hats are such a good investment for Summer weddings. I don't know what it is about jeans. Although I have a stack of 35 different styles on my shelves (not kidding, I counted), every season, there is something new I want to explore. A detail, a slightly different cut etc. And it's happening again. I am currently building up the list of styles that are (obviously) missing from my wardrobe. Maybe I should get into therapy but come on those 70s style are just killing me! 1. Ba&sh Tao Jumpsuit, £225 - I am not going to lie, I cannot stop thinking about this jumpsuit. I so want it! Totally Charlie's Angels, right? 2. French Connection Tara Suede Belted Coat, £158 (was £395) - So I came across this coat while I was doing research for this post. Another problematic encounter. It's gorgeous and 60% off. Do I need to explain what's going on in my crazy fashion obsessed brain??? 3. Stradivarius Wide Leg Jeans with Front Slit, £29.99 - One of the cheapest options denim wise with a 70s feel but with a modern take on it, that's attractive. 4. Üterque Sweater with Multicoloured Cuffs and Neckline, £75 - That rainbow colour detail. Totally necessary for a complete Farrah Fawcett look. 5. Asos Levi's Orange Tab Turn Up Short Dungarees, £90 - The bottom of these short dungarees can be turned up for an even sweeter style. Would look great combined with the Üterque t-shirt. 6. Zara High Heel Slides with Pompoms, £59.99 - Sometimes there is no point resisting Zara. This is one of those moments. I could even sell some of my precious pairs of shoes to get my hands on these pompoms.